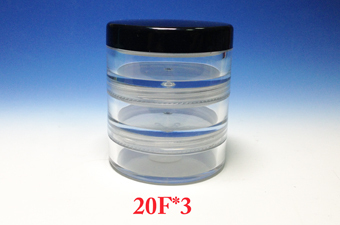 Chien Ching Plastics provide high quality 3 set of stacked cosmetic jars containers with one base jar, two double threaded center and a cap. 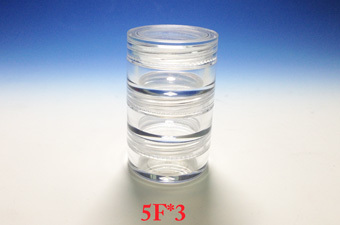 The stacked jars can be adjustable the height of the stack by screw on or remove from each stack. 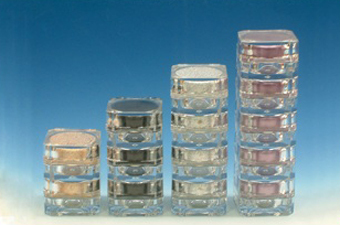 Chien Ching Plastics provide transparent jars to match different styles of cap. 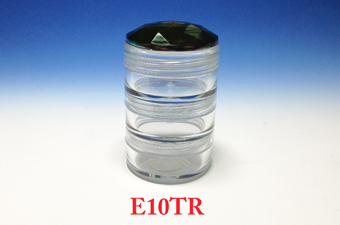 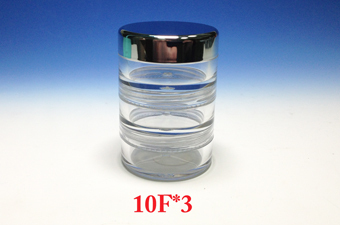 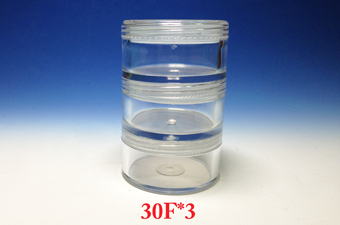 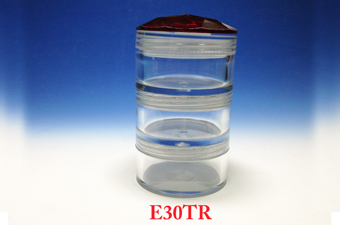 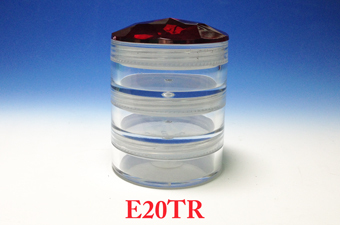 We provide high quality and competitive price cosmetic stacked jars to meet customer's needs. 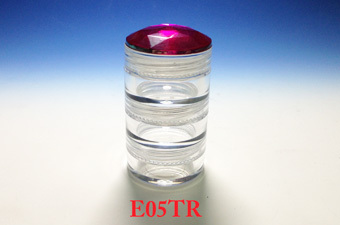 Welcome to contact us online.